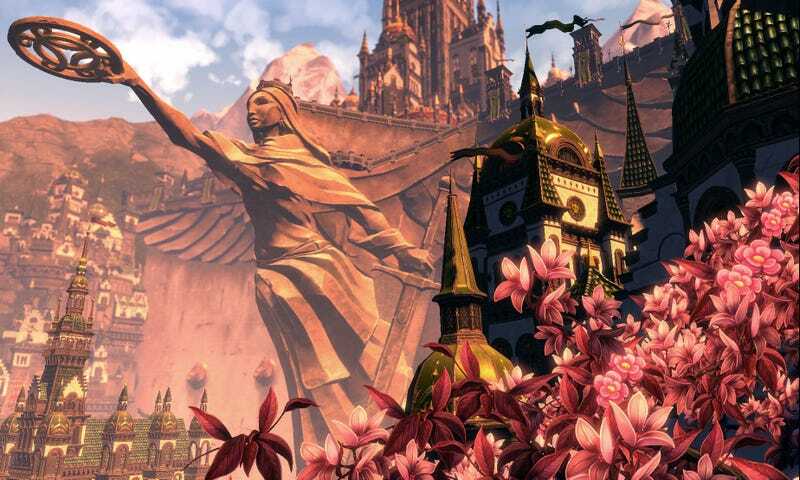 In the aftermath of 38 Studios' collapse, a slew of government investigators said they were probing the maker of Kingdoms of Amalur: Reckoning for its attempts to secure loans using tax credits that never were issued. Tax credits are the biggest reason the studio, founded by former Boston Red Sox pitcher Curt Schilling, became such a scandal in its home state of Rhode Island when everything went bust. A spokesman for the U.S. Attorney in Rhode Island told the Associated Press on Friday they were through with the investigation. A state investigation still is proceeding. 38 Studios begun work in Providence, R.I. in 2010, lured by a $75 million loan guarantee from the state. Investigators were looking into statements 38 Studios may have made to potential creditors for any bank fraud. The feds didn't find any. In addition to the state's own criminal investigation, Rhode Island's economic commission is investigating whether anyone can be held financially liable. The state's looking at about a $100 million loss on the venture with 38 Studios. If they're looking at Schilling himself, they may not get far. The former all-star pitcher is out about $50 million of his own money. Rhode Island owns all of the company's assets and is putting them up for auction next month to try to recoup some of the dough.